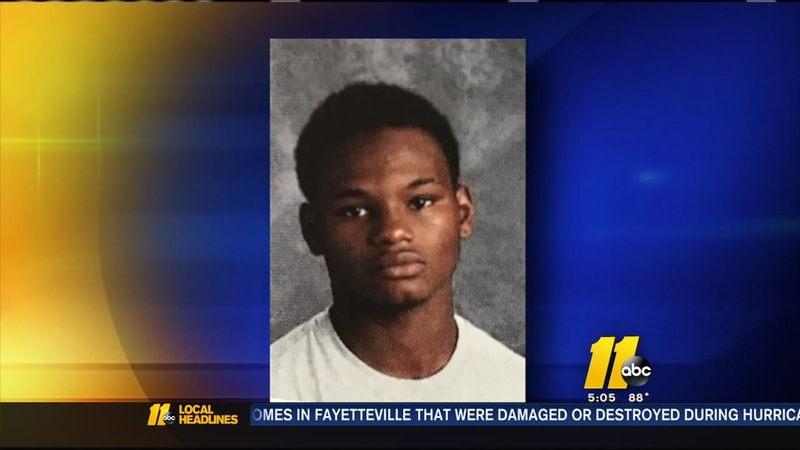 GOLDSBORO (WTVD) -- Students at Eastern Wayne High School are mourning the loss of their fellow classmate, Elijah Hinnant. On Tuesday, Hinnant's body was found days after he went missing while swimming in a rip current near Emerald Isle. Authorities said the 17-year-old was swimming with his friend Tyreese Worsley, 16, who was rescued by a surfer and brought ashore. Classmates told ABC11 that Hinnant was outspoken and hilarious which makes his sudden death so hard to grasp. While seniors prepare for Tuesday night's graduation ceremony, they can't help but think about this tragic loss. One student said a close friend of Hinnant is so upset that he decided not to walk at graduation. "He (the close friend) didn't come to the practice at all for graduation because it was too... It started making him think about it and everything, and he just couldn't deal with it so he didn't come today," senior Drew Wiebe said. "He's not even walking because of it. He's just going to go get his diploma and that's it." But it's not just the students who are coping with the loss, the staff at Eastern Wayne is too. "We're a close-knit group, and our hearts are broken for the family and for the loss of this student and for the other student that's continuing to fight for his life," principal Lee Johnson said. "These kids have waited for graduation for 12 or 13 years and we want to concentrate on their success and the joy that they're going to have tonight but also keeping in our thoughts and prayers the other families." Officials said Worsley is in intensive care at a hospital in Greenville. Emerald Isle Town Manager, Frank Rush, said that crews tried their hardest to search for Hinnant before calling off the search Sunday afternoon. "When you have 12 miles of beach, it's just impossible to cover all 12 miles, so we've tried to concentrate our resources where the most people are at the two regional beach access facilities," Rush said. Officials want to remind beachgoers that they should avoid swimming in a rip current. "The ocean is not like a swimming pool," said Emerald Isle Police Chief, Tony Reese. "And people need to be aware of the conditions and if you're not a strong swimmer then make sure that you're either in an area where there are lifeguards present or stay in shallow enough water to where you're not in danger."